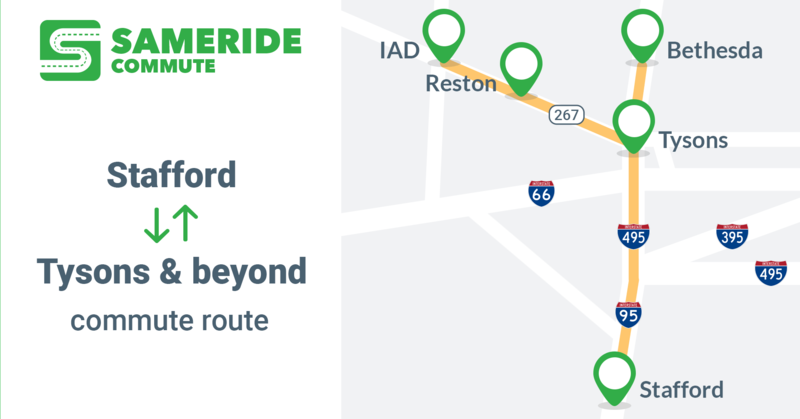 WASHINGTON, DC, October 23, 2018 – Sameride has opened a new commute route between residential areas of Fredericksburg and Stafford, VA and employment centers in Tysons Corner, VA with over 100 commuters registered. Sameride is an on-demand carpool service helping connect drivers and riders commuting on the same route. Often neighbors who happen to work in the same location agree to ride to work together. Sameride app opens up a much larger commute sharing space. Sameride Commute mobile app, for iOS and Android, allows commuters offer or request rides to ensure that a rideshare is available before their commute. Sameride App user can choose to be a driver or a rider, set their pick-up time and locations, create ride offers or requests a few hours or a few days before their commute. No long-term commitments or established carpool schedules are needed. Using the app, drivers commute toll-free on HOT express lanes and riders benefit from getting a fare-free commute between Park & Ride Commuter lots and their offices. Both parties benefit from getting to the office and back faster. Sameride estimates that the app users who commute between Route 610 / Staffordboro Blvd Commuter Lot and Tysons Corner save up to 26 hours of commute time and either $230 on rider’s fares or $1,450 on express lanes tolls per month. The first route that Sameride opened in the Washington, DC Metro Area is Woodbridge, VA – Tysons Corner, VA, which currently serves over 250 commuters. “Sameride Commute App turns a 1.5-hour exercise of frustration into a breezy 32-minute FREE commute in the express lanes!”, says Laura who commutes on Sameride’s Woodbridge – Tysons route. “Brilliant idea, thanks for setting this up. I signed up and placed a request.  Thanks!”, says Joy who joined Reston – Arlington / DC route. The Sameride Commute App helps commuters (drivers and riders) take advantage of HOV and HOT express lanes along the I-95/495/395/66 and SR 267 corridors for faster and more cost-effective commutes. Sameride team combines over 50 years of experience in transportation, marketing, software development and community management. It is united around the goal of bringing technological innovations into commuting.